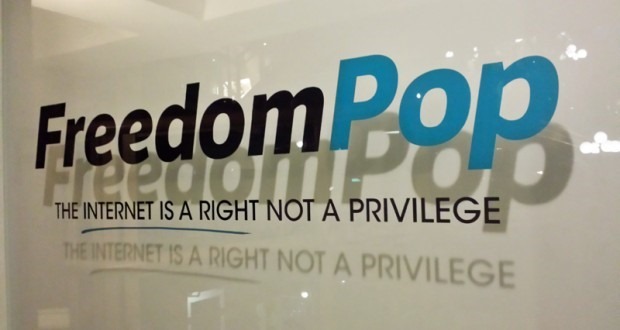 Before I say one word, I would just like to make a disclaimer that I am in no way shape or form bashing FreedomPop or any of their employees. I just want to make that clear before I get hundreds, oh wait, no one reads my blog, maybe 1 or 2 people. Carry on. A couple of days ago I bricked my phone. I know, I’m an idiot, I’ll own that. I bought a jig from eBay to unbrick it, but it didn’t work so we went to a cell phone repair place and they told me they don’t do that kind of work. If my phone was run over by a car maybe, but if I did something to the operating system then that’s my problem, not theirs. I probably would’ve been better off if I had just run it over. Yesterday I called FreedomPop to let them know that I broke my phone and I wanted to buy a new one. The sales girl was really nice and very helpful. She asked for a 2nd email address, which I found a bit odd, but I didn’t question it. After the call was done and she had ordered me a new phone, I verified it with the Bank of America website that my order was in fact placed, I sat patiently waiting for a bunch of emails from FreedomPop to come to me. I waited and waited the whole day until last night when it occurred to me that maybe I should check the 2nd email address that she asked me for. Sure enough 3 emails waiting for me from FreedomPop. Instead of adding a new phone to my current account, she created a new account for me and didn’t even suggest to me that perhaps I should close the other account. I mean, it would stand to reason that I wouldn’t get charged every month for a phone that won’t turn on, right? Today when we came home from the doctor’s office I decided to call FreedomPop and ask them what the delio is with that new account and what I am going to do with the 2nd account. The girl, who sounded very similar to the girl from yesterday, but from another department was very helpful and she understood what I was telling her, but kind of not really. She said so let me get this straight, you want to close the account for your phone that doesn’t work? Uh yeah… I mean, if you’ve already created a whole new account for me, why would I keep a 2nd account? I also had $30 in that first account that I wouldn’t be getting back if I didn’t close the account. I just think it’s a bit odd that they would think it was odd that I wanted to continue being charged a monthly fee for an account that I can’t use because the phone won’t turn on. I mean, if I ever decided to build a brick wall, my phone would be in that wall because it’s essentially a brick. It’s a $99 paperweight. Why would I pay a $30 monthly fee for a paperweight? It doesn’t make sense. Anyway, I am happy to report that she finally understood what I was asking and she refunded me the $30 that was sitting in that account, that should help to pay for my new phone. She also cancelled my old account and I got the verification email. Now I can move on with my life again lol.